Originally produced for law enforcement purposes, the Firespray-class patrol craft became a favorite of bounty hunters across the galaxy, including the infamous Boba Fett. The ship`s robust chassis offers plenty of space for additional weaponry and other less-than-legal modifications. 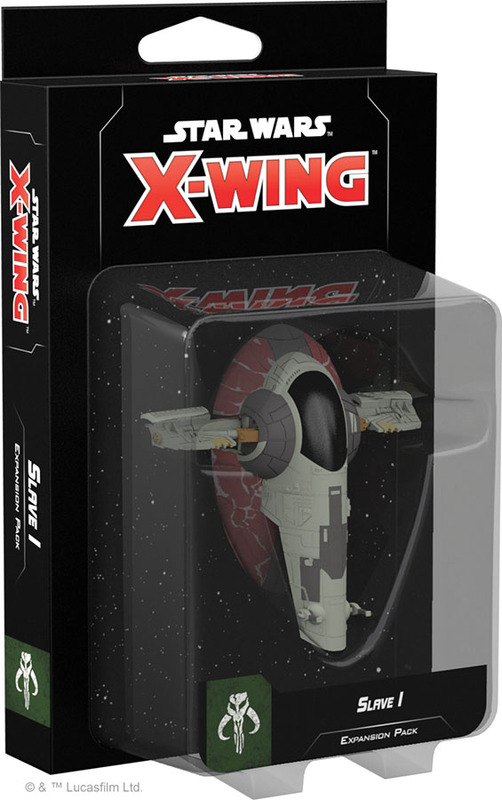 The Slave I Expansion Pack for X-Wing Second Edition gives Scum pilots the chance to fly one of these versatile ships into a new era of space combat. With a beautifully pre-painted ship miniature as well as all the ship cards, upgrade cards, and tokens you need to get flying, this expansion gives you a vast array of options for customizing your own Firespray-class patrol craft and adding it to your squadron..